D-Link (India) Limited recently announced the availability of its next generation Covr whole home Wi-Fi solutions powered by the Qualcomm Mesh Networking Platform. 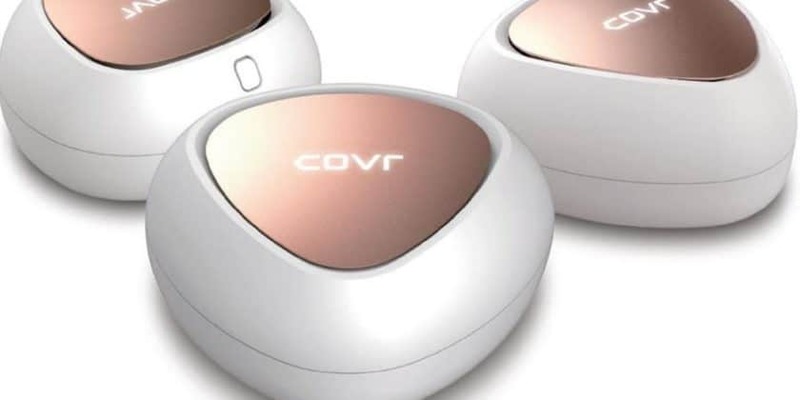 The Covr Dual Band Whole Home Wi-Fi System (COVR-C1203) brings whole home network coverage within the reach of consumers due to its affordable price & impeccable features. Offering one seamless whole home network, the Covr Whole Home Wi-Fi Systems by D-Link provides the performance and connectivity needed to support the many connected devices found throughout the modern smart home. D-Link COVR-C1203 is the first mesh system with swappable covers in different colours (Gold & Ocean blue). Featuring MU-MIMO technology for higher and more efficient throughput, the AC1200 Dual-Band Covr Points in COVR-C1203 virtually eliminate annoying Wi-Fi dead spots, and create a zone of dedicated high-speed, seamless Wi-Fi for homes. Ideal for enjoying bandwidth-hungry multimedia applications throughout the house, without loss of performance. “Today’s modern home features multiple devices that at time leads to choking of bandwidth. Therefore capacity has become an important feature, and with D-Link Whole Wi-Fi system buffering shall be termed – a thing of the past. D-Link Covr, powered by Mesh Networking platform provides the essential ingredient for today’s connected home, delivering seamless, reliable and high-quality connectivity throughout the home and across all devices” said Sanket Kulkarni, VP – Channel Sales, D-Link (India) Ltd.
To help ensure that connectivity is never compromised, D-Link has implemented smart roaming technology in COVR. Smart roaming is designed to continually analyze the wireless signal strength between your devices, helping to automatically connect them to the Covr Point with the strongest Wi-Fi signal. The effortless plug and play setup through either the D-Link Wi-Fi app or web-based interface means, you don’t have to know your bits from your bytes to enjoy seamless, comprehensive and reliable Wi-Fi throughout your home. Smart roaming – designed to seamlessly connect to the strongest signal as you move from room to room, eliminating the need to disconnect and reconnect. MU-MIMO technology – creates a powerful, fast, and highly efficient Wi-Fi network that can handle a greater number of connected devices. Expandable network – Covr is a scalable solution. Simply add extra Covr Points where you need more coverage. D-Link introduces Whole Home Wi-Fi Solution 0 out of 5 based on 0 ratings. 0 user reviews.